Traversing snowy terrains requires the right vehicle. With Yamaha's lineup of snowmobiles at the ready, it is easy and fun to get around during the colder months of the year. Made for power and speed without losing a bit of safety or control, this manufacturer's lineup of models is a fan favorite for good reasons. When you need to repair or upgrade your model, our inventory of Yamaha snowmobile parts has everything you need to make the most of your vehicle for seasons to come. When you look at the history of the Yamaha lineup of snowmobiles, the story starts with a test model in 1968. While this prototype was the blueprint, it never made it to production because the manufacturer needed more time to iron out a few kinks for a product that would live up to their name. The following year, they would introduce their SL351 with oil injection and slide-valve carburetors, features that were unheard of in the industry at the time but have since become staples in modern design to this day. Since then, this innovative manufacturer has introduced a new and improved model every few years to keep up with the times while staying true to the classic. From a sit-in rider position which was a bold departure from the common sled design of previous years to the industry's first four-stroke, high-performance snowmobile model, Yamaha has led the way in exciting breakthroughs over the years. 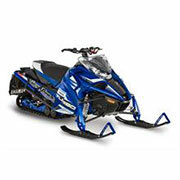 We are pleased to offer a wide selection of Yamaha snowmobile parts for a range of models and years. Whether looking for solutions for a classic 1969 model or a current model, we have you covered with the right choices. With everything from their GP396 to their Apex and Sidewinder lineups, you are sure to find the right match for your model. Best of all, we offer OEM Yamaha snowmobile parts as an authorized dealer which means you are getting solutions directly from the manufacturer for the right fit and performance. Find everything you need in one convenient place with our expansive selection of reliable solutions!